-We would love to hear from you! 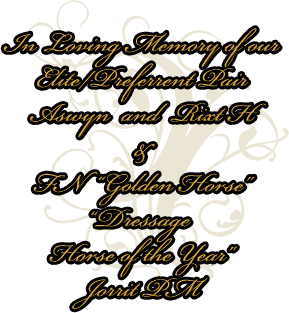 Our Champion Stallions & Mares are unrivaled in their accomplishments in both Sports Performance & Breeding. Our Stallions have achieved "Horse of the Year" titles in USDF Dressage and World Championships at National Breed shows and our Mares have earned their FPZV Championship awards in both Dressage and Driving. While we are proud of our show accomplishments, nothing compares to the pride we take in our beautiful foals! Our horses consistently produce excellent quality High-Premium foals. 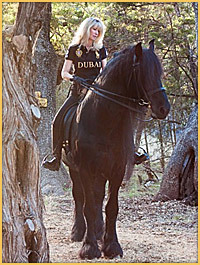 We are truly dedicated to promoting the beauty, generous attitude and versatility of our magnificent Friesian breed, the "Horse of Kings." Whether your looking for a Top Contender in the show ring, a trusted friend on the trail or a fabulous addition to your breeding program, Wyning Edge will exceed your expectations and fulfill your dreams! 2009 & 2008 San Antonio Stock Show - "Grand Champion Stallion"
USDF Multi Champion & "Horse of the Year"
2014 USDF/FHANA "Champion" - Grand Prix - Open - #1 in the U.S.
2014 USDF "Horse of the Year" - Grand Prix - Open - 61st of 165 in the U.S.
2013 USDF/FHANA "Champion" - Grand Prix - Open - #1 in the U.S.
2013 USDF "Horse of the Year" - Grand Prix - Open - 53rd of 128 in the U.S.
2012 USDF "Horse of the Year" - Intermediare II - Open - 12th in the U.S.
2012 USDF/FHANA "Champion" Intermediare II - Open - 1st in the U.S.
2008 USDF FEI Developing Horse Championships - Voted "Best Turned Out Horse"
2008 USDF/RMDS - Region 5 - "Horse of the Year"